The Minister of State for Railways, Rajen Gohain, said on Thursday that “stern action” will be taken against the culprits involved in the twin murders inside train toilets in Assam. People were yet to come out of the shock regarding the death of Assam Agricultural University (AAU), Jorhat student Radha Kumari that a second woman was found murdered on Wednesday inside the toilet of Avadh-Assam Express at Mariani Junction, again in Jorhat district. Both the women belonged to the Bihari community. He said that more CCTV cameras will be installed in the railway stations. “I have already asked the Railways authorities to increase the patrolling of Railway Protection Force (RPF) personnel. 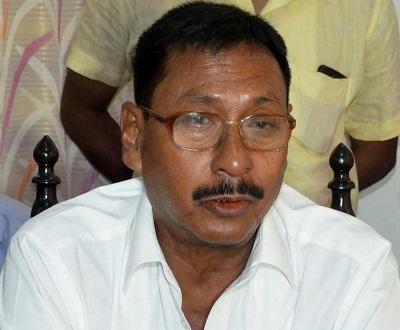 Such incidents had never before happened in Assam,” fumed Gohain. The accused Bikas Das alias Bubu who was arrested in Tinsukia by RPF personnel on Thursday has confessed to committing the twin murders of the two women inside the toilets of separate trains in Simaluguri and Mariani Junction. Police and RPF personnel are interrogating Bikas Das in the Divisional Railway Manager’s office in Tinsukia. According to information, the mobile phone, train ticket and few jewelleries of the victim, Radha Kumari, have been found from Bikas’ possession. “Bikas and Bipin were involved in both the murder cases,” said sources. According to police, they also raped the victims before finally murdering them. “Bikas Das has confessed to his involvement in both the murder cases. A new gamocha has also been seized from him,” RPF sources stated. According to RPF, Bikas was planning to commit the third murder on Thursday. “We are interrogating Bikas and found that he is a serial killer and was involved in both the crimes,” said an RPF official. It may be recalled that the body of the semi-clad women recovered from the toilet of the handicapped coach of the Avadh-Assam Express on Wednesday had a gamocha tied around her neck.